251 Harvard St. is pictured in the photo above. 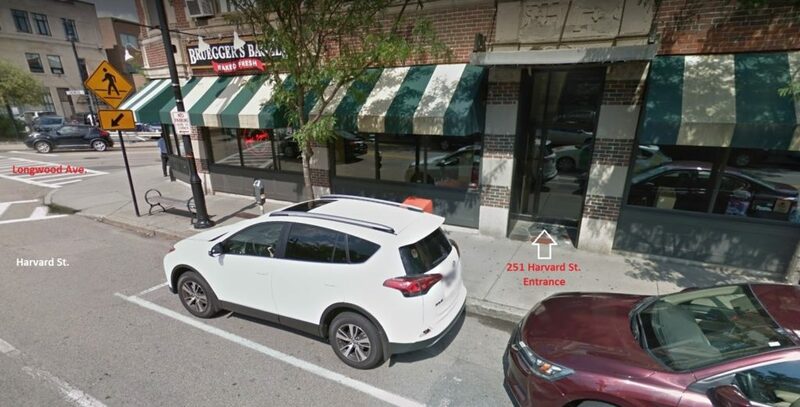 The entrance is next to Bruegger’s, on the corner of Harvard St. and Longwood Ave. My office is Suite 10. Go in the entrance of the building, up the stairs, take a right and my office door is clearly marked on the left hand side. 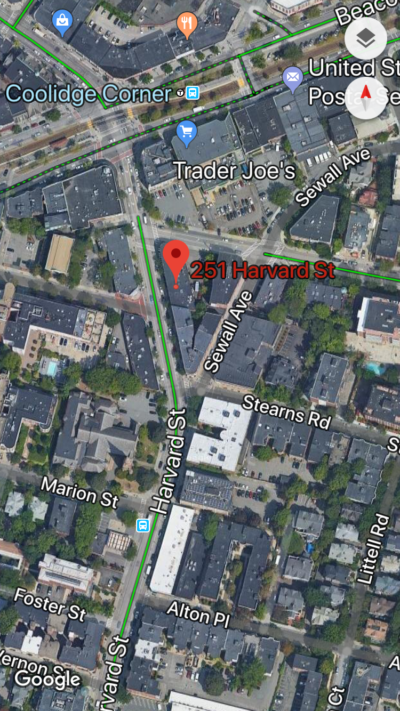 Metered parking is available on Harvard St. and Sewall Ave. There are often spots available at the meters. The neighboring streets (Marion, Foster, Alton, Webster, Stearns) all have parking available for free for 2 hours but you must observe the signs carefully. Some sections of those streets do not allow parking and this information is all clearly marked. See map below. MBTA C Line green line train is one block away on Beacon St. Walk South on Harvard St. to get to my office. MBTA D Line green line train is 0.6 miles away. Head North on Harvard St. from Brookline Village to get to my office.